Paint two coats of chalkboard paint on your labels, allowing them to fully dry between coats. Then write on them while they are still flat to make it easier. Stick them wherever you want! My toddler son has already demolished a couple of the labels, so I guess that means it's time to work on making the whole file cabinet less of an eye sore. 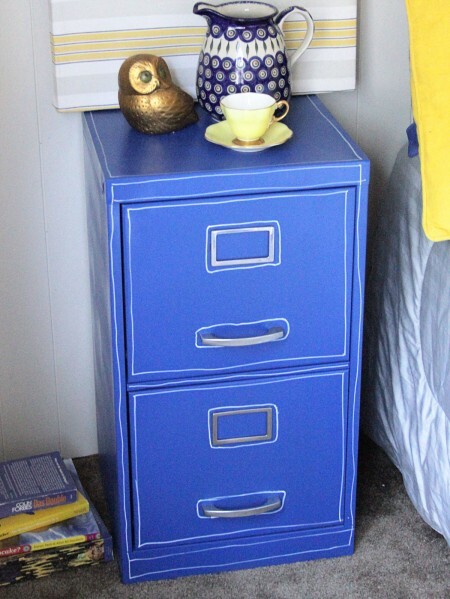 I like something like this one below, which is just painted, or there are really cute mod podge file cabinet re-dos out there that are inspiring.